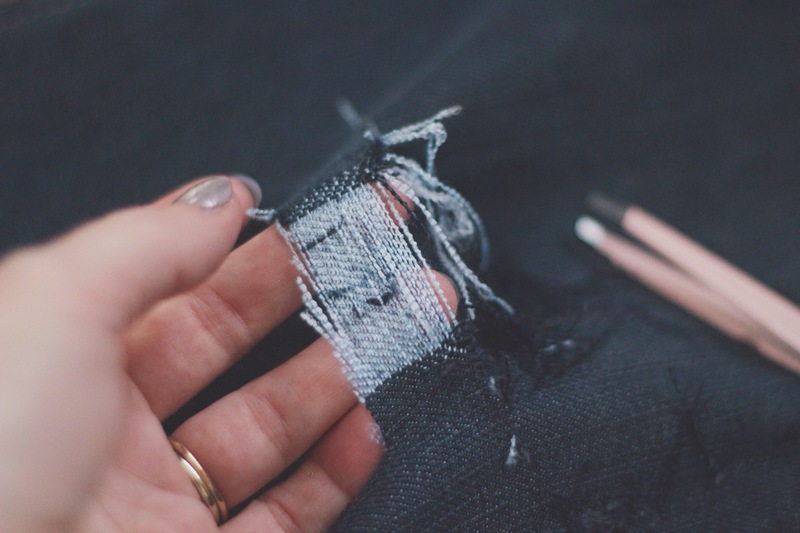 I’ve been really into distressed denim lately and thought I would share with you all a step by step on how to create your own unique distressed denim. There are several different techniques that you can use, this is just one easy way how to DO IT YOURSELF! You can go as subtle as you want, (just on the knees) or a little more dramatic, whatever you prefer. 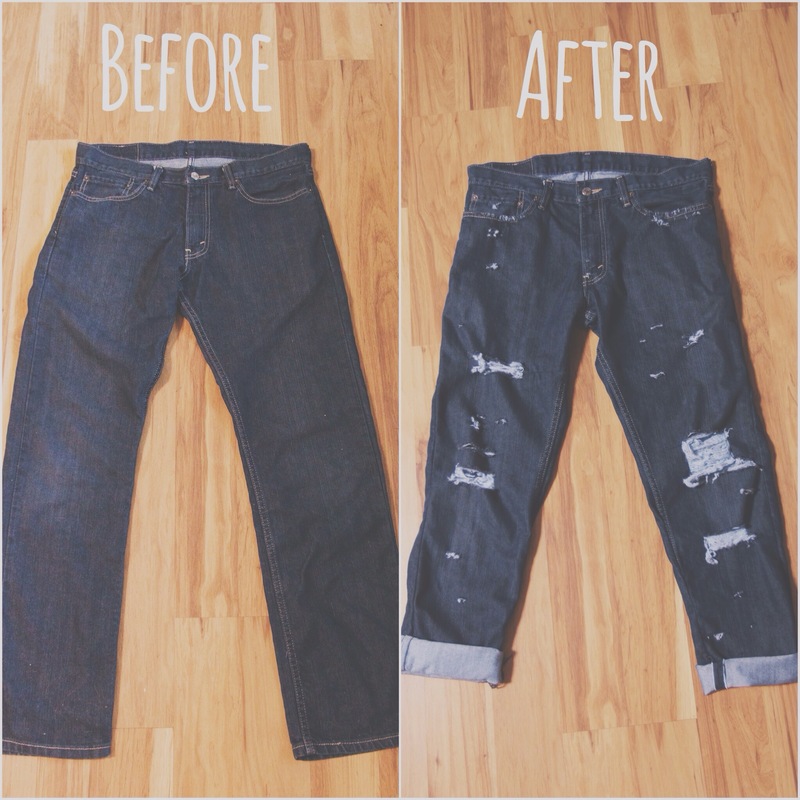 In this post, I will be showing the steps I used to create my boyfriend jeans in the picture above on the right. 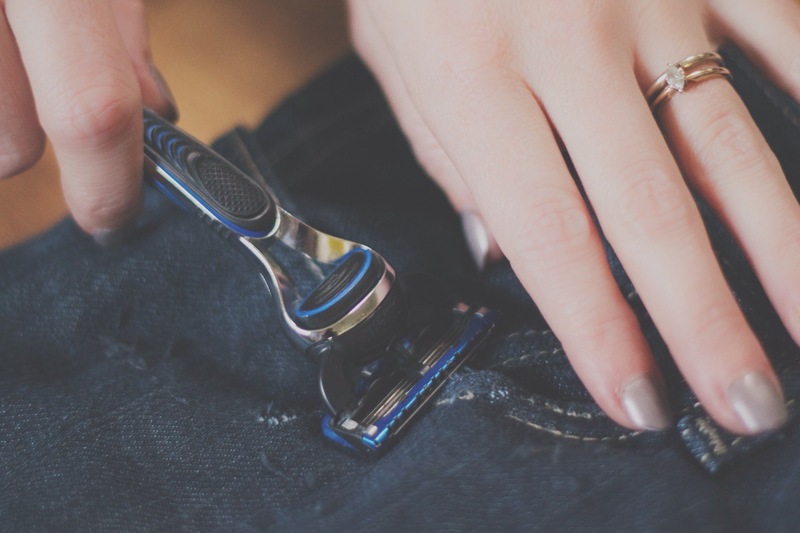 After deciding on a pair of jeans that you are wanting to distress, these are the 3 tools you will need to use. 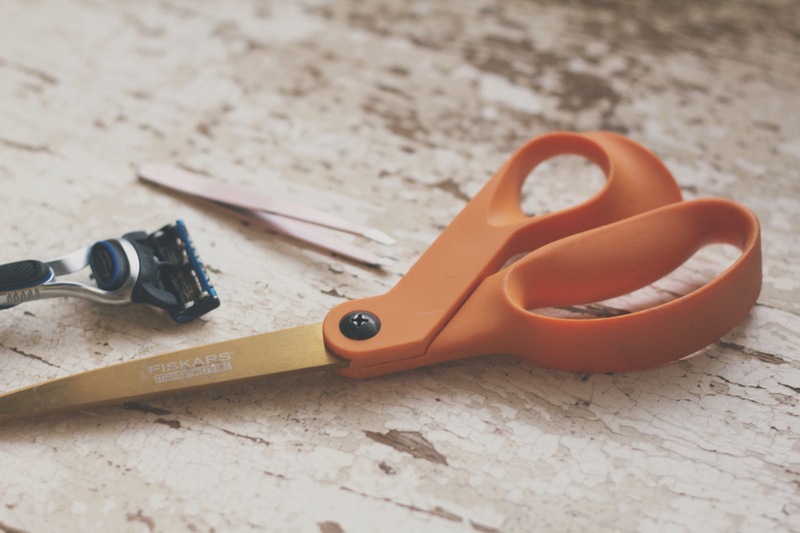 A pair of tweezers, a razor, and some scissors. First, you need to decide on wear you want the holes to be. They can be totally random, there is no right or wrong place to put them. Once you decide, start by cutting two slits parallel to each other. However far apart you decide on cutting them is how large the hole will be in that area. I like to start by making a few slits in the knee area since that is where denim usually wears out first. After cutting your slits, grab your tweezers and start pulling out the vertical threads, the first couple are a little hard to pull out, but once you start, it gets easier to pull out the rest. I like using this technique because I prefer the look of holes with the white (horizontal) threads still showing. It looks a little more like authentic wear and tear. It should end up looking like this when you are close to done. Keep in mind, that after throwing the jeans in the wash, some threads that you miss will come right off, so its ok if its not done perfectly. Another tool you can use to add more distressing is a razor. I like using this tool around the pockets and the edges of jeans to create small holes and to rough them up a bit more. 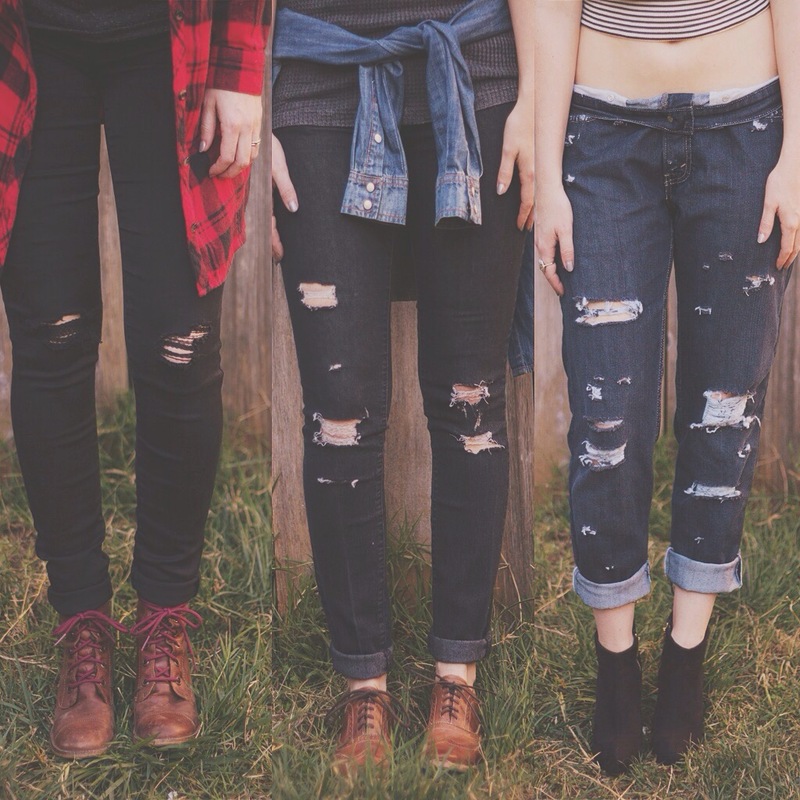 After you are done with all the distressing, then throw your jeans in the wash in warm water, then dry them on the high setting. This will add a little more fraying and make the holes look more worn. When you pull them out, the holes should look something like this! You can even throw them in the wash another time if you want, and keep in mind, the more you wear them and wash them, the more they will naturally distress as well. For these particular jeans, they were a bit more boot cut then I preferred, so I decided to sew in the legs just a bit to make them more of a relaxed straight leg. Just simply turn the jeans inside out and mark with a pen how much you want to take off. 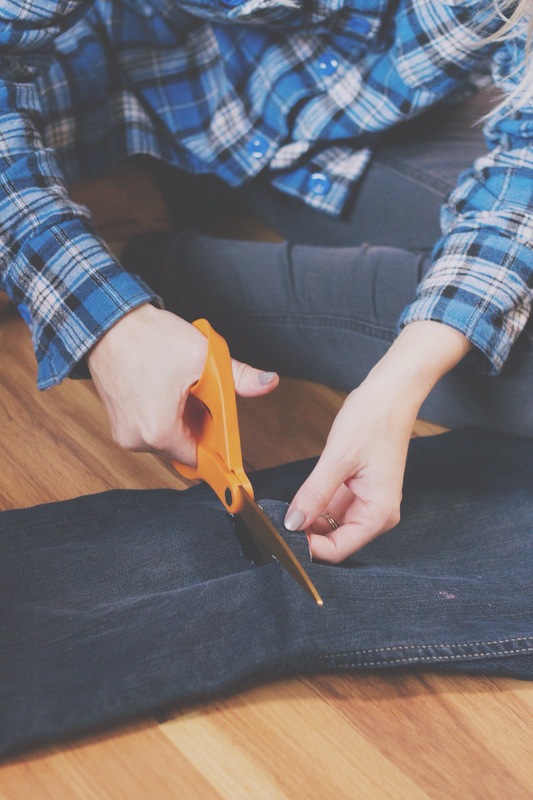 Sew in the legs from the outside of the jeans, cut off the excess, then turn them inside out. They were also a bit long, since my husband is 6′ 2″ so I cut some of the length off and then cuffed them as well. 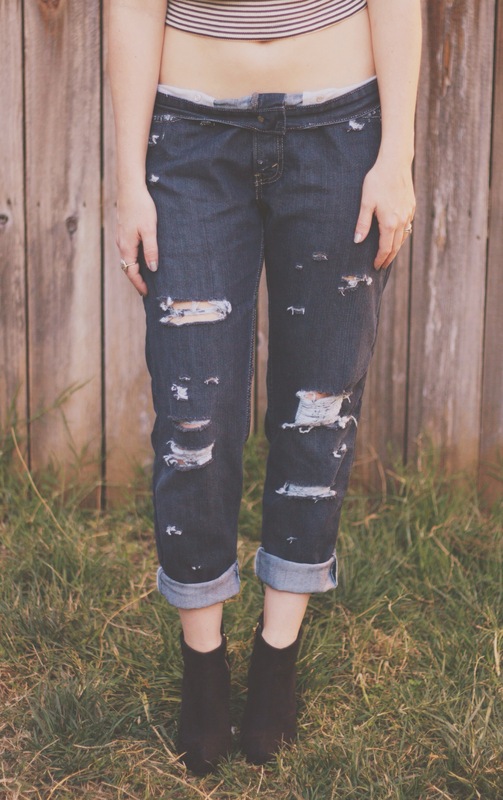 This picture above is the final outcome of my distressed boyfriend jeans! 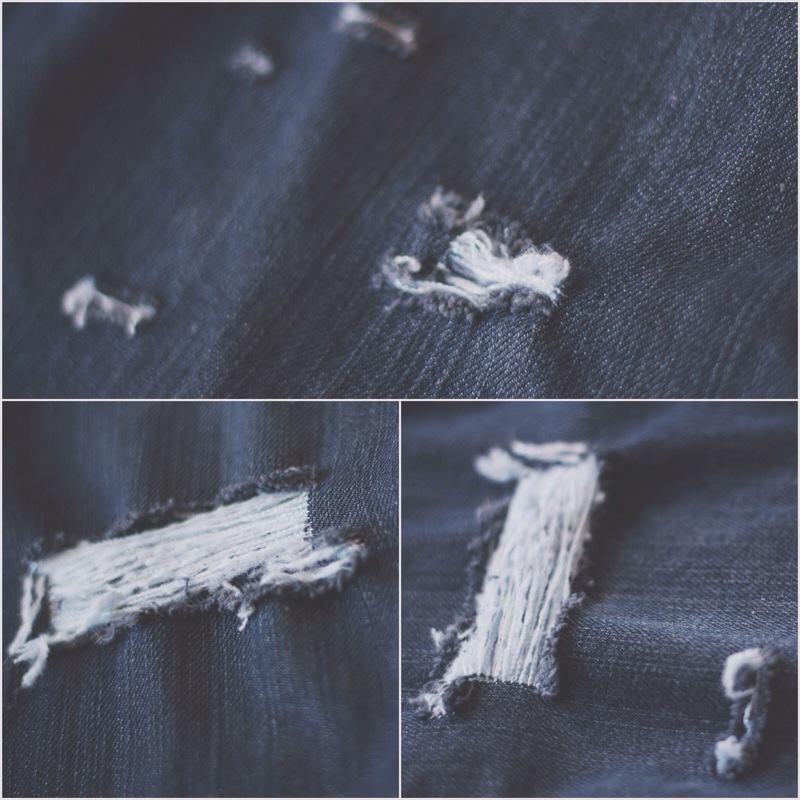 I hope you found this information useful and have a fun time creating your own personalized distressed denim using this technique.